Welcome to Upstate K-9 L.L.C., located in Upstate New York. We are a working Police K-9 Kennel. Upstate K-9 was founded over a decade ago. We are a relatively small stressing quality over quantity. Our dogs include Malinois, German Shepherds, Dutch Shepherds and labs ranging in age and titles. We are an extremely dedicated to preparing dogs and handler real life scenarios and applications. 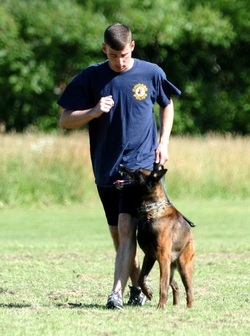 Upstate K-9 offers seminars to the novice of handlers through the most experienced handlers providing quality information and instruction. Announced guests are always welcome to visit! Completed 4 days Police K-9 HITS seminar in Washington DC. Aug 24-27, 2011. 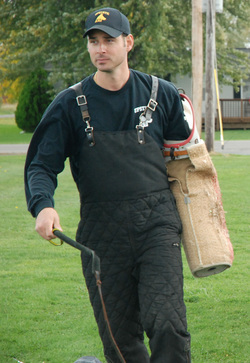 Completed 3-day KNPV & Working Dog Seminar taught by Hennie Bolster, Cookstown Canada Oct. 2011. Completed Barktober Seminar with KNPV trainer/decoy Frans Koster, Ohio, Oct. 6th, 2011. Completed 8 hour training course in "E-Collar Push/Pull Training" taught by Pat Nolan, April 2012. Completed 8 hour training course in "Narcotics Scent Detection Training" taught by Mike Colton, April 2012. Completed 16 hour training course in "Dutch Police K-9 Tracking" with Dutch Police Trainer Ruud Leus & Hennie Bolster, Westminster, Massachusetts. Completed 2 day "Police K-9 Decoy" Seminar taught by Hennie Bolster and Ruud Leus of Holland. 3 day Police K-9 Seminar , Morristown New Jersey, May 16th-18th, 2016, Morristown Police Department, NJ. 3 day Police K-9 Seminar May 11-13th, 2016, Greene County Sheriff's Office, New York. 3 day conference, Dallas Texas, HITS Police K-9 Conference August 2016. 3 day Police K-9 Seminar, Washington DC USPCA Region 3, May 2017.